What is Make a Community? 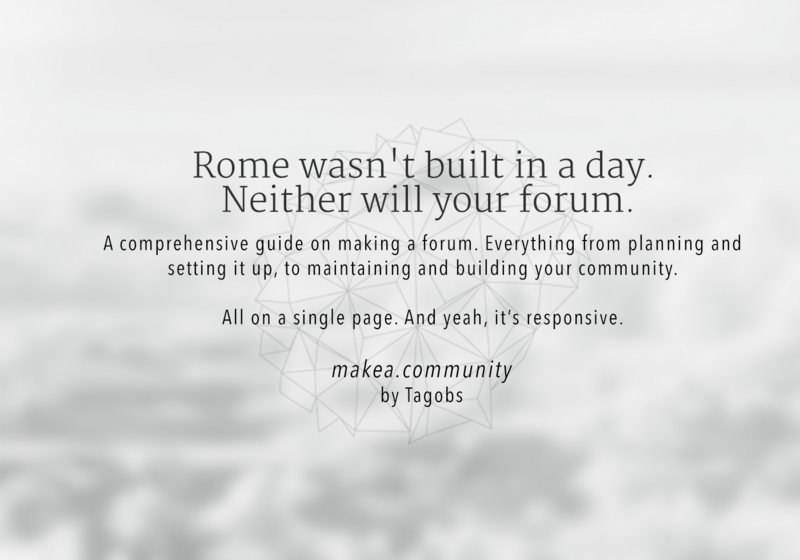 Make a Community is a full tutorial site which covers everything from A to Z on how to create a forum. The journey starts at the very beginning with the planning stage - "what niche is the forum going to be? ", "how is it going to be funded? ", "how can I brand it so it becomes something unique?" - to the very end of how you maintain your forum and keep it growing. There are many tutorials on how to create a forum, but what they all have in common is that it's a single tutorial covering everything, from start to finish. 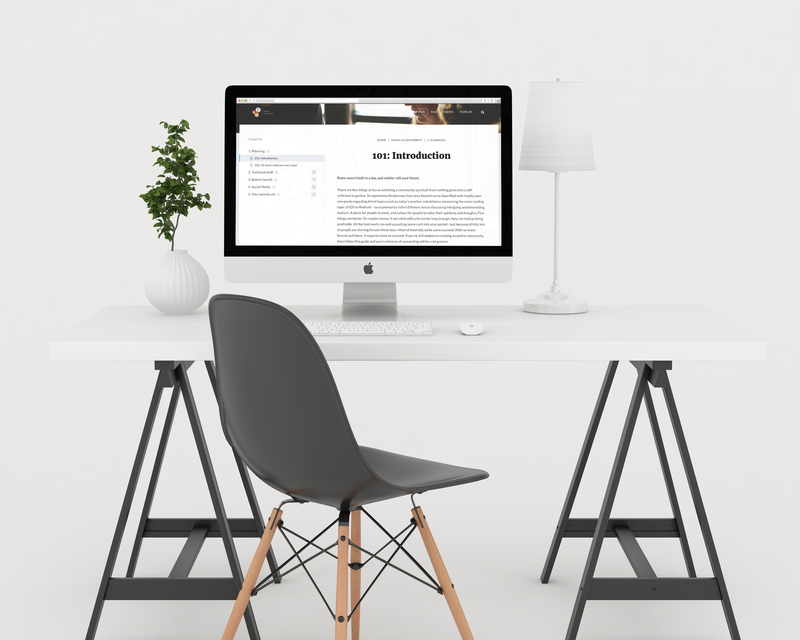 Creating a functioning community is a form of art that can't be captured in one single page, and our goal is to create the ultimate handbook on how to make it in a world where creating a successful forum is more difficult than ever. There is a growing thought that the days of forums are dead. Call me naive, but that's not a fact I can accept. Social medias like Facebook, Twitter and Medium have grown a lot the last few years, and have stolen a lot of the good old Internet forums members. What social media lacks is the very reason I first joined a forum. Social medias are in many cases a way to connect with those you already know through your own persona. What forums have is a type of anonymity and a chance to discuss and befriend people from all over the world that is lost in Facebook and Twitter. That's something irreplaceable. Still, there is no doubt that forums are suffering. Forums open and close on a daily basis, and few survive more than a few months. The reason behind Make a Community is to try to help, and give web masters the toolkit that make them fit to fight through these harsh forum times and create a fantastic community. The release date is currently set for December 1st. Development has re-commenced. Idea of a one page-guide has been thrown away (way too much content for a single page), and instead it's going to be a more chapter-based system running on WordPress. If you have any ideas or suggestions for the project, feel free to share them! I'd love to hear what you all got on your mind, whether you reply to the thread or send me a PM! If you would like to be a part of the project, check out the recruitment thread that is linked below. Keranov wrote: Thanks for advertising with PromotionZ! Razo wrote: Good luck with your site!